Color image from LLNL Computer Museum Family Days, 1985. This is a general view of display area. 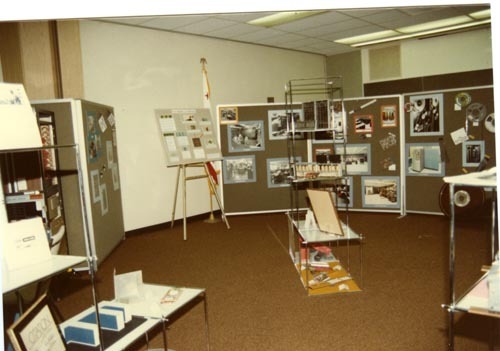 Displays consist of partitions with pictures, tables with artifacts, an easel and standalone displack racks.